That cookie recipe has become a fixture in my house. This spring, though, it has been challenged by a healthier version, also given to me by my brother who found it a www.halfbakedharvest.com. 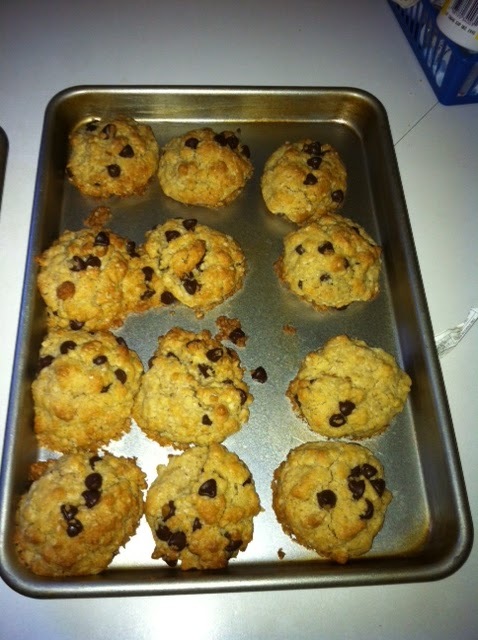 These cookies use canola oil instead of butter/margarine and can be crumply. Be warned: they won’t last long. 1. Preheat oven to 350 degrees. Spray cookie sheets with Pam. 2. In a large mixing bowl, mix all ingredients until well-combined. The dough will be crumbly. Stir in chocolate chips. 3. Using hands, clump dough together into a balls and place on cookie sheets. 4. Bake 10-12 minutes or until set and golden. Cool about 5 minutes.